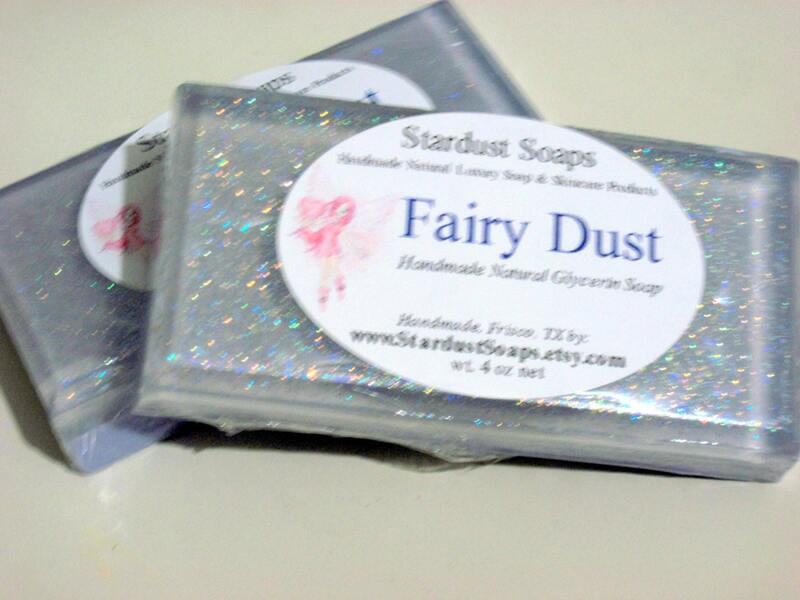 Stardust Soaps, handmade Sparkle Fairy Dust bar soap, is A touch of fairy dust glitter and hand blended oils of fragrant sweet pink sugar, raspberry sorbet, coconut and Champagne. 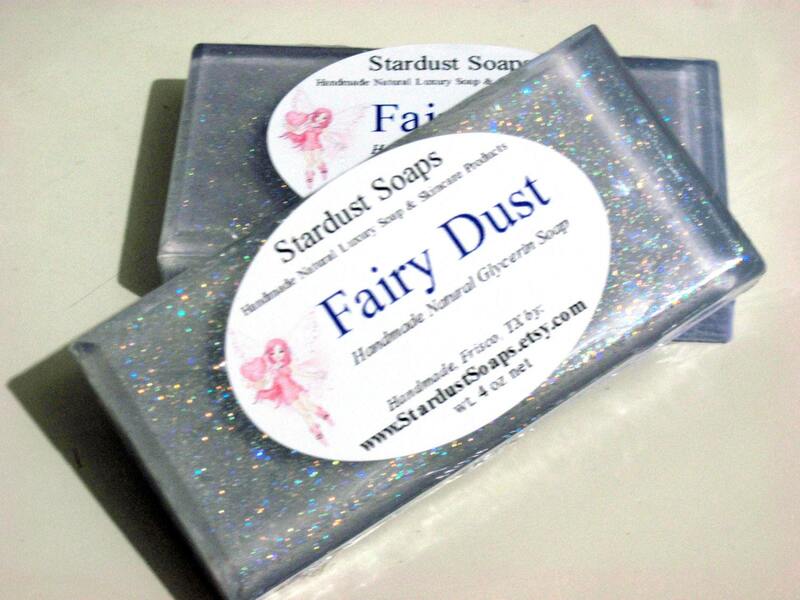 Handmade with coconut oil, palm oil and natural glycerin. It is formulated for mildness and will not upset your skin's natural pH balance. Rich creamy luxurious lather, with healthy skin in mind. Use in shower or bath. Shimmery for the one who loves Bling, the back side is a pretty purple soap. Shipping Overage, if applicable will be refunded upon order processing. It’s really pretty and smells soo good! Cute soap! Love the smell and the glitter! Thanks! thanks so much - sent as a gift for a friend to sparkilize her day ! !